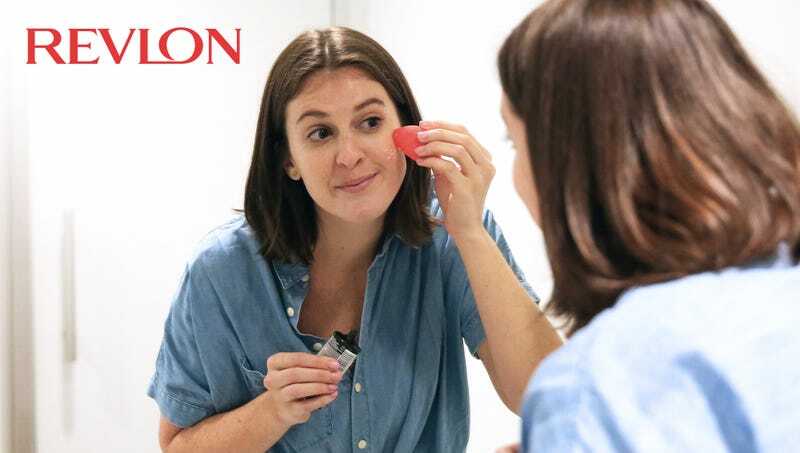 NEW YORK CITY—Touting the colorless, nearly undetectable gel as the ideal beauty product for those who are perfectly comfortable with their coloration and facial features, Revlon released a new functionless translucent gel Thursday specifically formulated for women who do not wear makeup. “Revlon’s new PhantoGel is the perfect cosmetic for women who are comfortable with their natural beauty,” said Revlon CEO Debra Perelman of the clear, completely see-through gel, noting that it does nothing to highlight, conceal, or color skin and is targeted at customers with no desire to wear foundation or toners but still want the routine of putting makeup on in the morning. “Apply PhantoGel before work, before a big night out, or just do touch-ups throughout the day. It’s easy to work with and suits all skin tones.” Revlon added that PhantoGel will be on shelves this holiday season with a retail price of $79 for a 1.8-ounce jar, and that it should be removed every night with their bespoke ClearGel Remover, which is expected to be priced only slightly higher.